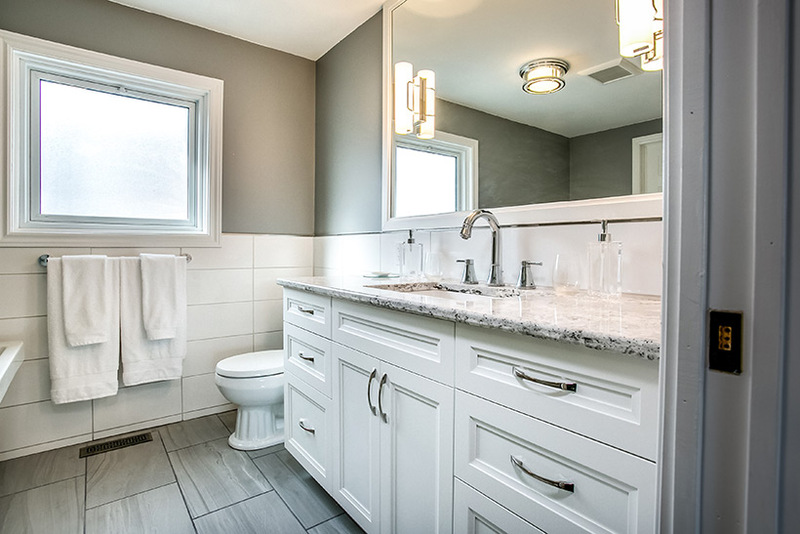 In this major ensuite bath renovation, we took part of the master bedroom closet to enlarge the bathroom, and then took some of the extra large bedroom space to expand the closet area. 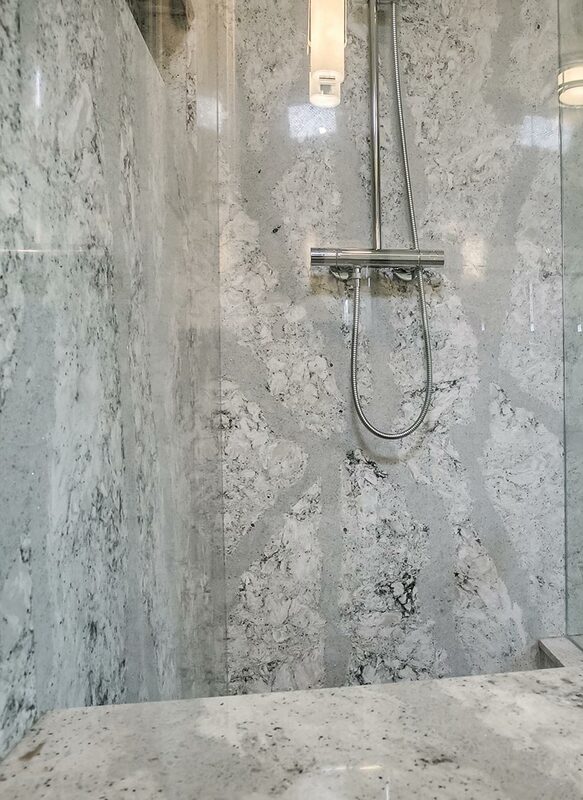 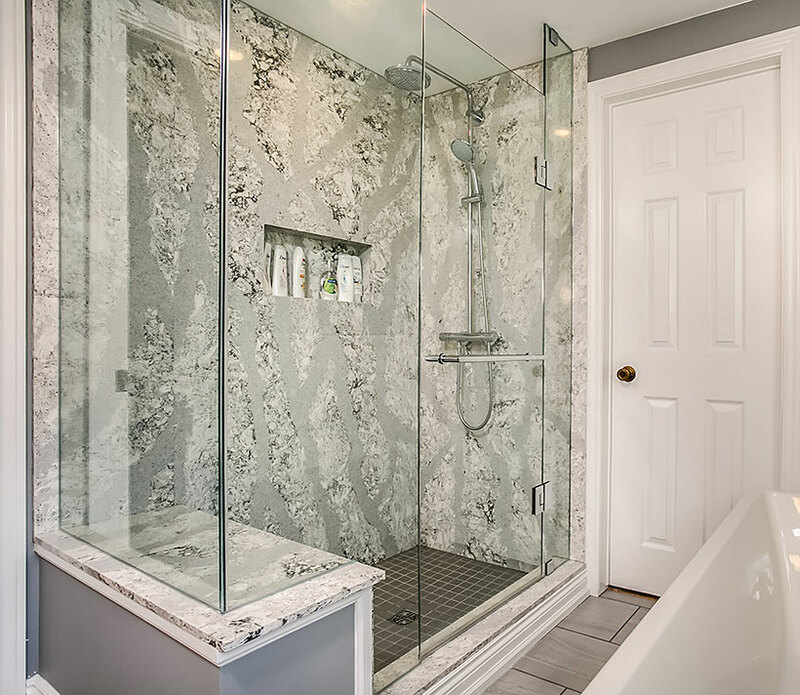 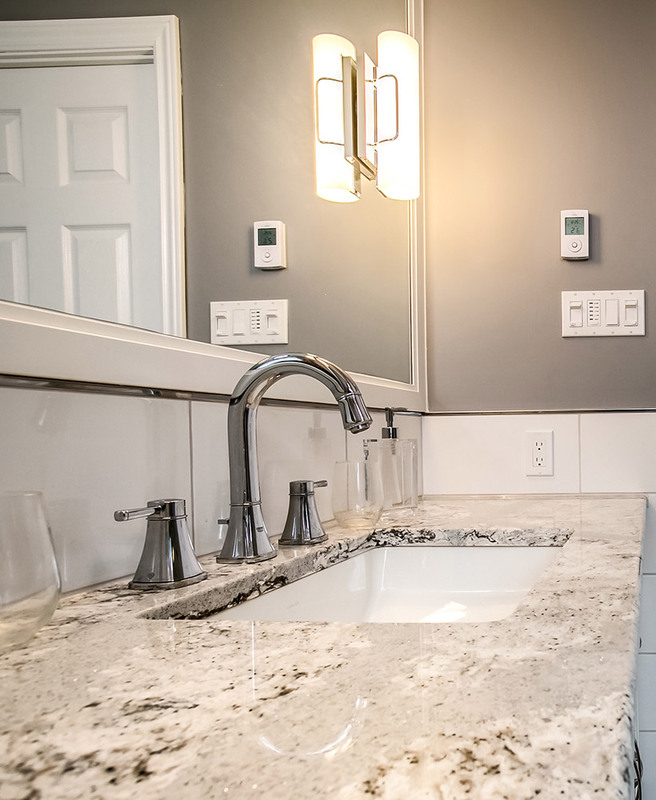 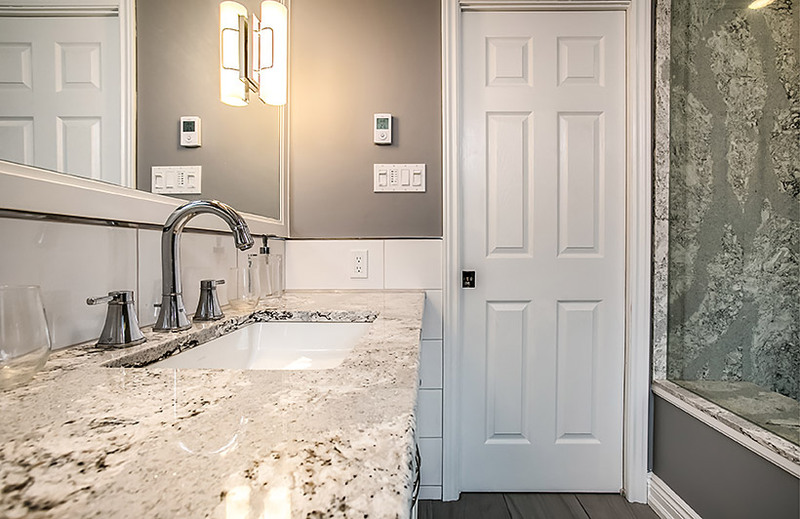 By adding the square footage to the ensuite bath, we were able to make room for such luxury features as the Mirolin Cruz freestanding tub and a spacious shower with full sheets of Cambria quartz and waterfall shower features. 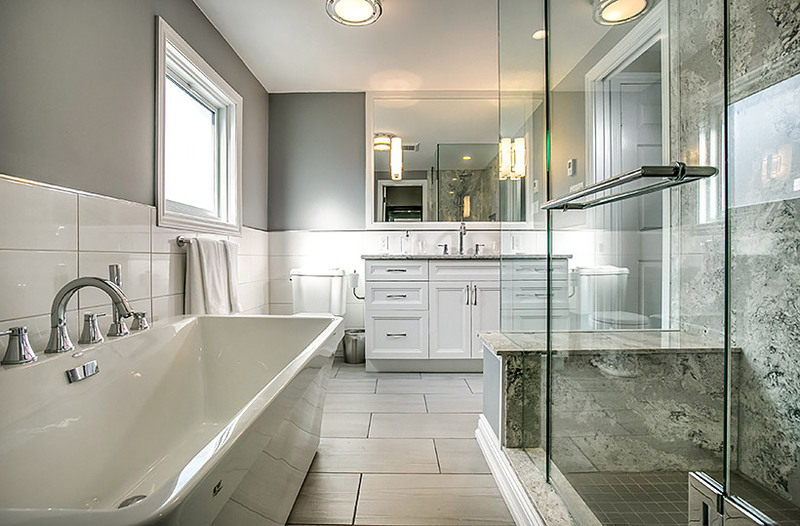 Simple white tile wainscotting, white inset Miralis Euro finish cabinetry and porcelain flooring provide clean lines in this spa-like retreat.